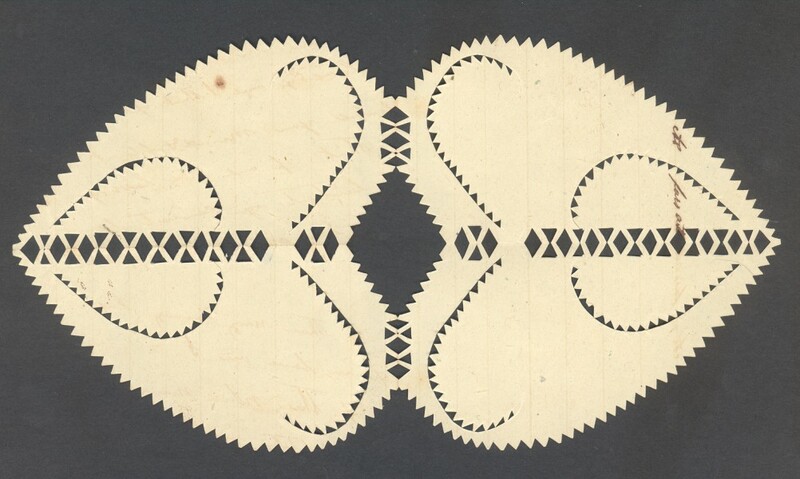 The art of paper-cutting was fashionable at the Court of King George III where two of his daughters, the Princesses Charlotte and Elizabeth, were ardent cutters. 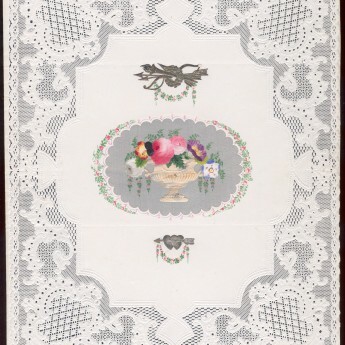 It subsequently became a fashionable pastime for young ladies who used tiny sharp scissors and pointed quill knives to cut the paper with great delicacy. 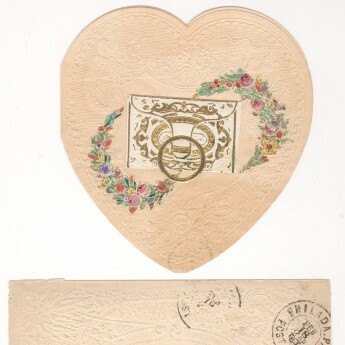 One of its popular uses was the making of Valentine cards, such as this example, where the paper was folded before cutting in order to create a pair of conjoined hearts with a serrated edge. The hearts are cut from ruled paper. The first patent for a lined paper ruling machine was granted to Englishman John Tetlow as early as 1770. Prior to then rules had to drawn by hand. In the true spirit of a valentine, the creator/sender remains anonymous nor is there any clue as to who the favoured recipient was. Its survival though is surely testament to a happy outcome. Size: 100 x 186mm max.